Note from Catherine Carrigan: Many people forget that our environment is the most powerful factor in determining our health. I have worked with countless clients who have had severe health reactions due to the ongoing use of pesticides, herbicides and other toxic chemicals in their lawns and gardens. The more we learn how to embrace organic gardening, the healthier we will be and the more beautiful our gardens shall become. 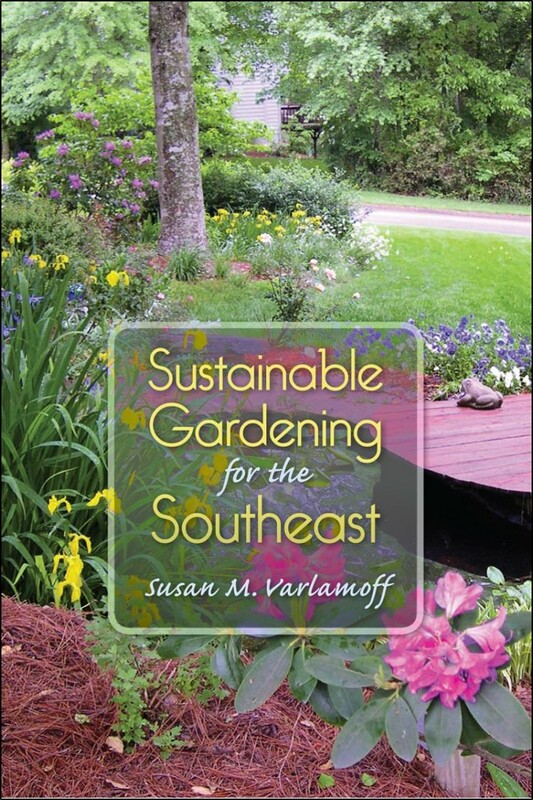 Please enjoy this blog post by author Susan M. Varlamoff, an expert in sustainable gardening. As we recycle, purchase fuel efficient cars, and turn down the thermostats in winter to reduce our environmental footprint, we can also manage our landscapes to enhance the local ecology. Landscapes occupy vast swaths of land across urban and suburban areas in the U.S. Collectively, gardeners can have a big impact if they use sustainable gardening practices. Since gardening is Americans’ number one hobby, gardeners can transform our neighborhoods and enhance our depleted wildlife corridors in metro areas by using science-based practices. Gardening to restore natural systems is not as daunting as it may sound. By first recognizing that Mother Nature is our life support system and then by mimicking her in our back and front yards, we can let her do the heavy lifting. Pollination, waste management, water and air purification, temperature modification, food and shelter are just a few essential services she provides and we can’t live without. We can create a landscape that will be the envy of our neighbors and also benefit the local ecology, by following these basic principles and practices. The foundation of a healthy landscape begins with fertile soil. In some parts of the country such as the northeast, northwest and upper Midwest, soils are rich in organic matter and nutrients. Plants thrive in these soils. In the southern regions of the country, clay and sand are dominant soil types where fewer plants can flourish. However, generous amounts of compost mixed into the soil will provide the nutrients and structure most plants require. Compost can easily be made in your backyard by piling yard waste and kitchen waste in a heap, and turning it from time to time. After six months, gardeners’ black gold can be used to enrich poor soils. By grouping plants according to water needs, gardeners can save time watering plants and most importantly reduce the use of this precious resource by fifty percent. Most or approximately sixty percent of the landscape should be planted in shrubs and trees that require little watering beyond what nature provides. No more than thirty percent should consist of perennial beds and grass which require occasional watering. Areas such as annual beds and containers should not exceed ten percent of the landscape since they need frequent watering — sometimes every day. Rather than using potable water to irrigate annuals and perennials, collect rain water in barrels positioned under the gutters to use for this purpose. University of Georgia experts recommend that lawns should be no more than forty percent of the total landscape. Why? Because gasoline powered lawn mowers release greenhouse gas emissions that contributes to global warming and garden chemicals if improperly applied can run off landscapes and pollute streams and rivers. Some grass species require a lot of water to maintain. In metro Atlanta, homeowner outdoor water use in summer often doubles due to lawn irrigation. Lawns also are only one species of plant and provide no habitat for wildlife. University of Delaware scientist Doug Tallamy has spent years researching the importance of planting a diversity of native plants and trees to attract local wildlife. Native plants co-evolved with native insects, birds, mammals and other wildlife. Together they create a web of interactions where each organism performs a vital function in the ecosystem. Non-native plants are not recognized by the local wildlife as sources of food so a landscape consisting of primarily non-native plants is an ecological dead zone. Most states have native plant societies which will furnish lists of indigenous plants. With this in mind, use native plants in your landscape to give Mother Nature a boost. 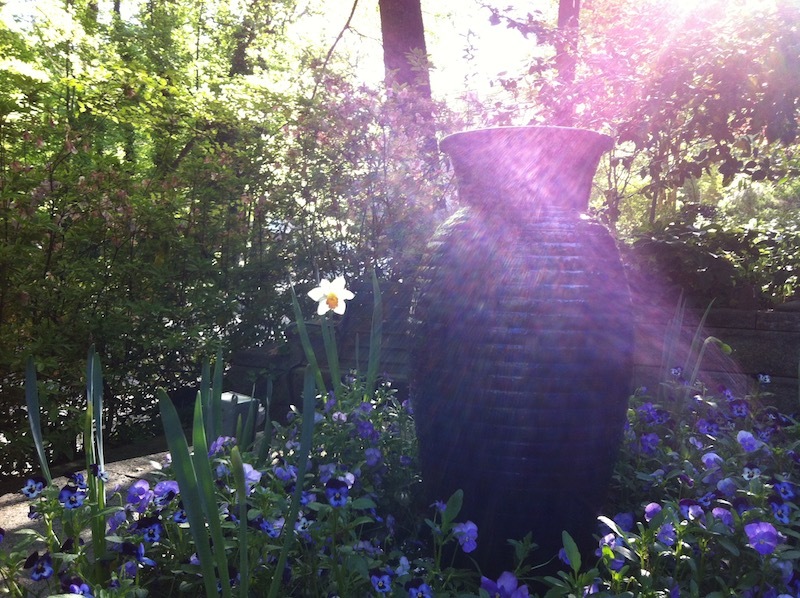 To make the ultimate ecological statement in your yard, plant a native oak tree. According to Tallamy’s studies, native oaks are nature’s biggest biodiversity attractors. In addition, they store carbon dioxide and reduce climate change, hold the soil to prevent erosion, cool the air and collect and filter stormwater. The American Forestry Association says that if every American planted just one tree the amount of C02 in the atmosphere would be reduced by one billion pounds annually. After you have installed your plants, use organic mulch such as wood chips, pine straw and pine bark around plants to maintain spoil moisture and temperature, reduce weeds and restore organic matter to the soil. The power companies prune trees that interfere with the electric lines and offer the chipped tree limbs free. Just ask the truck driver when they are working in your neighborhood. In addition to restoring ecosystems, gardening is great exercise, a way to meet your neighbors and commune with nature. Skip the gym membership and get started! Adapted from Sustainable Gardening for the Southeast by Susan Varlamoff. Available at Barnes and Nobles, Amazon.com and University Press of Florida upf.com.